Epionce Lytic Gel Cleanser is a soothing and purifying formula that unclogs pores and clears away all debris, without stripping or drying the skin. Ideal for those with combination-to-oily, acne-prone skin who want to remove excess oil, dead skin cells and makeup without damaging the skin. It helps relieve inflammation and smooth skin. Willow Bark Extract purifies the pores and sloughs off dead skin cells. Water (Aqua), Sodium Cocoamphoacetate, Sodium Lauroyl Sarcosinate, Glycerin, Lauryl Glucoside, Sodium Cocoyl Glutamate, Sodium Lauryl Glucose Carboxylate, Althaea Officinalis (Marsh Mallow) Root Extract, Butylene Glycol, Caprylyl Glycol, Citrus Aurantium Dulcis (Orange) Fruit Extract, Coco-Glucoside, Ethylhexlglycerin, Glyceryl Oleate, Glyceryl Stearate, Hexylene Glycol, Lavandula Angustifolia (Lavender) Flower Extract, Lilnalool, Limonene, Menthol, PEG-150 Distearate, Phenoxyethanol, Phoenix Dactylifera (Date) Fruit Extract, SalixAlba (Willow) Bark Extract, Zinc Pyrithione. Love this cleansing gel very much, can’t live without it!! I was recommended to switch to this cleanser since M2 cleanser is not available. 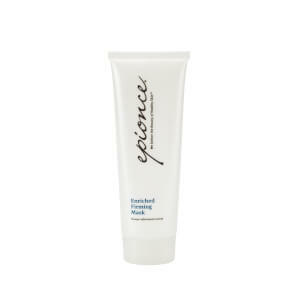 Epionce is nice smelling and is gentle on sensitive skin. Not sure if it is going to control my oily areas and have had one breakout. Will see how this product performs post-summer. This is the third bottle of this cleanser I have purchased. It is wonderful to use in the morning- very refreshing and tingly. I will continue to use. The best product !! !i've been using it for over seven years nothing like this product feel like cleans my face and keeps my pores clean. 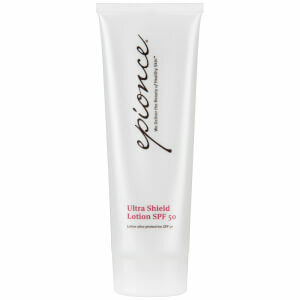 This is a refreshing gel cleanser that does not strip or dry the skin. I love to use this in the morning by itself or sometimes as night as a second cleanse. My skin always feels so nice after using this. This cleanser is very gentle. It's a little foamy, but not too much. It does leave a fresh tingly feeling which makes my face feel really refreshed. It is helping with my acne so far. I massage it into my skin for 1 -2 minutes morning and night. I have tried many products, but this is the best product I ever had. No more acne for me Ã¢ËœÂºÃ¯Â¸ï¿½. I have my daughter using this too and she loves it. I love the way my skin feels after using this product. I am in my late 40s and have sensitive skin. I've had fewer break-outs since using this product and it doesn't dry my skin out. I love this cleanser which is gentle, yet effective. Leaving my skin fresh and clean without overdrying. I love this light yet clean cleanser. I love the fresh feeling it provides. I use it day & night. A must in my daily routine.